It's Donna here, feeling refreshed after a crafty weekend away with friends. This is our annual treat, and is equal parts crafting, giggling and therapy! 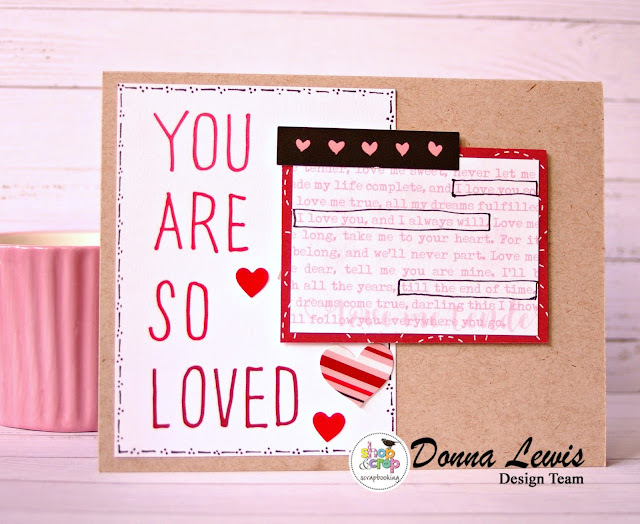 I was able to make three cards using the gorgeous "So Loved" papers by Photo Play. These are available as a pack in the Shop and Crop online store, and they really do all work so well together. I have combined the papers in some of my cards today. 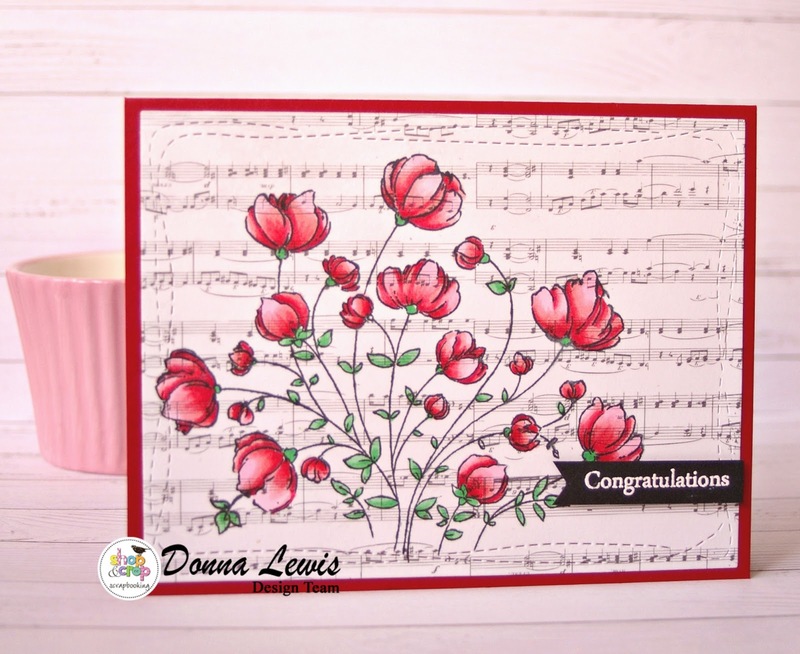 For this next card, I used the beautiful music paper as a background to stamp and colour a wildflower arrangement by Penny black stamps. 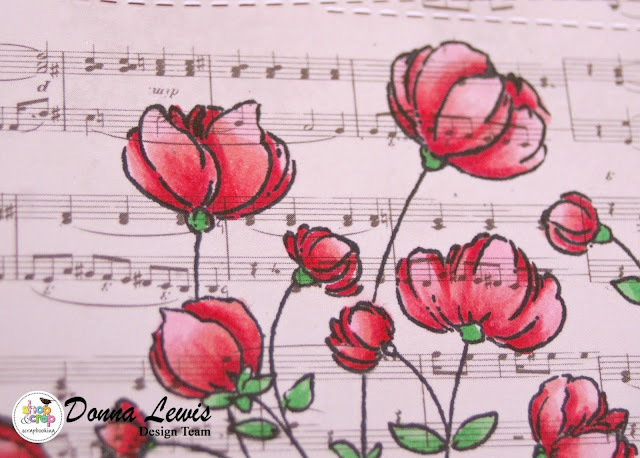 Being a piano teacher, I couldn't resist this paper! Here's a closeup of the detail, showing the copic colouring, and the background paper showing through. This final card was made with just the papers, scissors, adhesive, and a black pen, as well as a couple of the stickers included in the pack.I used the pen to add faux stitching, and to highlight some of the words from the song lyrics. Making cards doesn't need to involve expensive supplies. If you have enjoyed these cards, and would like to see more of my work, feel free to visit my Instagram page.